The Kingston 4GB Compact Flash Memory Card is the perfect choice for the beginning or advanced amateur photographer. With its high-capacity, this card is also an excellent choice for everyday use in PDAs, MP3 players, and audio recording devices. High-capacity storage means less time spent changing cards in the field. Low-power consumption improves battery performance in digital cameras and other devices. Solid-state memory has no moving parts--guaranteeing durability and performance. Best way to contact us is by sending message through e-Bay Contact us page. We can see your item details and reply accurately. Use "Ask Seller A Question"
We aim for 100% positive feedback! Our past performance will speak for us. Do help us grow by leaving your valuable feedback and we will continue to serve you. For smooth transactions we will leave you positive feedback . If you have any concerns, complaints or questions about products you have received from us or about our service, please notify us. Anything less than 5 stars on our Detailed Seller Ratings affects our standing with eBay. If you feel we deserve less than 5 stars for anything, please let us know before you leave your feedback so we can address your concern. Thank you. 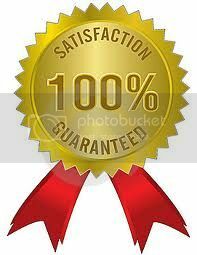 Sealed boxes and branded products warranty will be covered by Manufacturer . Please visit your nearest service center or contact them for service. Return or replacement not possible if you don't like the item or change your mind after purchase. We will try our best to satisfy you and work with you in case you have any issues. We strive to delight our customers. Kingston Means High Quality. Don’t buy other cheap brands. With High Quality comes longer warranty, other brands cannot provide. Warranty covered by Manufacturer. Check for service center near to your place for after sales service. Leave Positive feedback upon receipt of Item. Call us for any issue, negative or neutral feedback will not help in solving any issue. We are customer friendly and can resolve your issue. ©Copyright 2018 by TechPoint. All Rights Reserved.